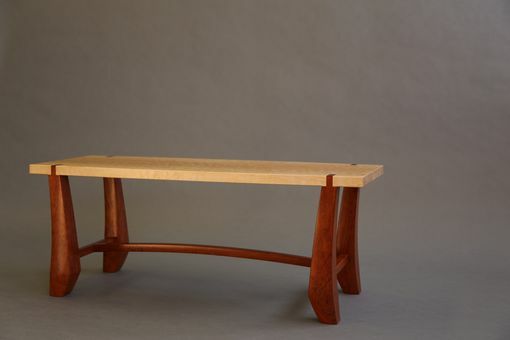 The Leatham bench is a bombproof design. 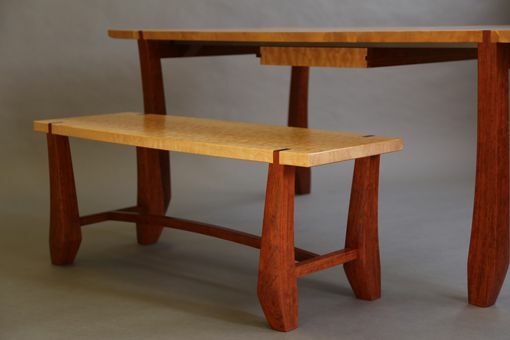 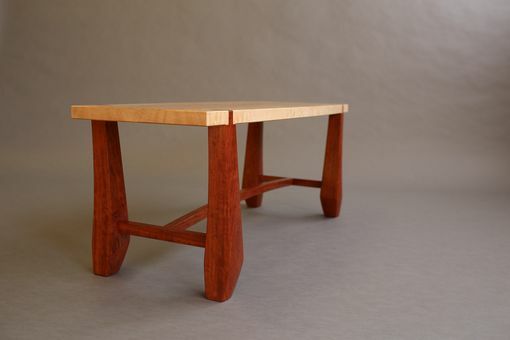 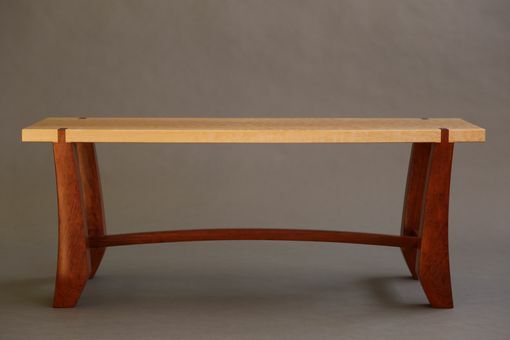 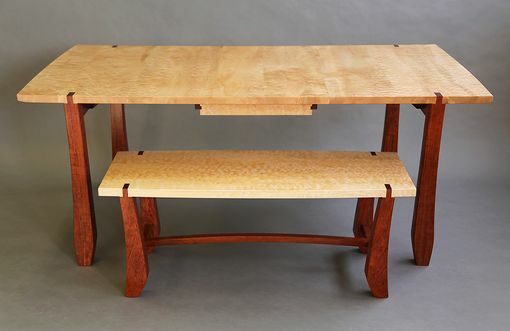 Shown in bubinga and quilted maple, it is constructed entirely with mortis and tenon joinery. 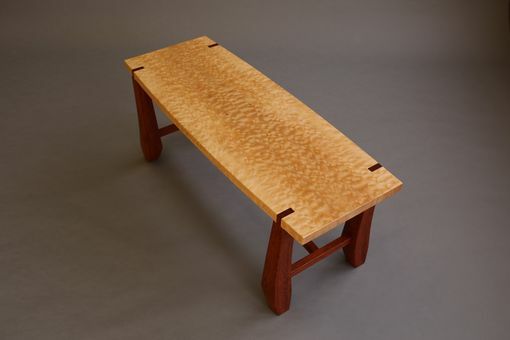 Shown in a rare quilted maple, and bubinga.